Are you about to embark on a long journey with your toddler? If so, I got you covered!! In this post, I share My Top 10 Toddler Travel Essentials which you can quickly purchase on my Amazon page for fast 1-2 day delivery before you jet set off to your final destination! Trust me - you will not want to leave home without these toddler activities and comforts! Aiden’s new BFF, besides his elephant of course, is this magical Travel Pillow Penguin and Blanket. Not only is it small and very light but the Armrest Buddy is the ultimate 3 in 1 child travel cushion. Its a penguin toy, a really comfy pillow and a blanket. Tux comes with a large warm blanket inside to keep little ones cozy and warm during your trip. Warning to all parents - Aiden has become inseparable with this penguin it now goes with us everywhere! I don’t know who fell in love with Water Wow more - Aiden or his parents? This reusable, no-mess, paint-with-water drawing pad is seriously the coolest thing which never gets old. Your toddler will love discovering all the fun things which appear once the magic water pen colors over the design. Aiden spent hours pointing out all the different things in each scene - cars, birds, trains, and more! This is a mama’s dream come true - no mess at all! Perfect for cars, trains, or planes. The Cars and Trucks puffy stickers has packaging which doubles as a play sheet and storage, making travel easier and more fun! These stickers can literally be applied and removed anywhere! Aiden had a lot of fun sticking them to the window of the plane, airplane trays and much more! Aiden also loved this entertaining Little Airport Sticker Activity Book which empowered him to create a busy airport scene with the help of 30 full-color peel-and-apply stickers. Because the stickers are reusable, Aiden could create as many different and exciting airport scenes as desired. The activity book includes 30 stickers and airport play scene on the inside covers. Bring along a notepad and a stamp set to encourage hand and eye coordination and also shape recognition. Aiden had so much fun pointing out all the shapes and was in complete awe with how the stamp set actually worked. This may create a small mess on your toddler’s fingers, but nothing that water wipes can’t handle. A classic choice for traveling! Lego Duplo creative play sets are a great way to inspire your toddler to use their imagination with building things. One word of caution when using on the plane - you may want to be sure your toddler is passed the throwing stage since these can be easily tossed which may annoy other passengers if not careful. Otherwise, they are great for when you reach your final destination, especially if you are lodging somewhere that will not have toddler toys. They are easy to pack in your suitcase and a fun surprise for your little one! I chose the 2 in 1 magnetic drawing board kit because it was a great price for a large and travel size board. Aiden had fun scribbling on the pad and demanding that mommy or daddy draw his favorite thing - CARS! Another classic but favorite travel essential is Play-doh! We took 2 different colors, a play-doh mat and 2 different play-doh cutter shapes (elephant and dolphin). This was not only great entertainment for the plane but also our final destination! Reading glow in the dark books has quickly became a bedtime favorite for Aiden! So we decided to bring this fun along on our travels. Not only for the airplane but also for maintaining a bedtime routine at our final destination. Therefore, we packed his two favorite books (Monsters and Disney Cars), along with a mini flashlight and some extra batteries. I would not recommend relying on the airport or airplane to have your little one’s favorite snacks and beverage essentials! Instead be sure to pack them yourself - especially milk! This does take some extra planning, especially for the beverages, in order to keep them cold, but it is totally worth it! Some of the items I took along are in the photos below. 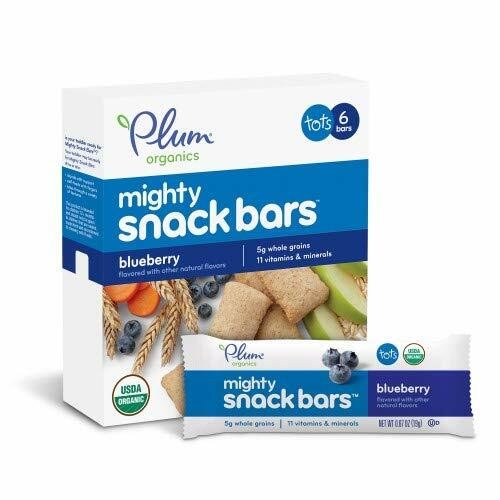 Snack faves include Annie’s variety packs, Plum Organics, and Boom Chicka Pop. Bath time can remain familiar when you bring along items which maintain consistency. Not only did we bring this super soft bamboo towel and mitt set but we also brought some of his fave bath squirt toys. All are very easy to pack and will provide the stability that your little one is looking for during his bedtime routine. Sleep when your toddler sleeps. It takes about 3-5 days for them to adjust to the new time zone, so if they sleep you should too! This way when they wake up (especially in the middle of the night or very early mornings) you are somewhat refreshed. Also knowing this helps manage your expectations and mindset upfront! Screen time can help your sanity in key moments! Many parents may feel against this tip but I am a big fan of screen time during moments where distractions are key - like take off and landing! We downloaded several episodes of his fave Amazon Prime show “Stinky and Dirty” as well as many toddler games which are educational. Remember it is harder on your toddler than you! When everything is new and there are lots of changes, it is much more harder on your little one than you or your partner. Which is why it is so important to show empathy and ask for help when you feel depleted! Airline attendants or other passengers may be complete strangers but often will lend a hand when they sense you are having a difficult moment. Do not be afraid to ask or accept help from others! For example, on our return flight a passenger behind us helped entertain Aiden with a game of hide-and-seek when she noticed that he was antsy and on the verge of a tantrum. On another flight - the airline stewardess noticed Aiden was complaining about his ears and brought over paper cups with hot towels inside to soothe his discomfort! All these gestures give you a moment of peace and often offer a different perspective that is harder for you to notice. I want to hear from you! What would you add to the travel essential list? Please leave your comments below! And as always, thanks for reading, sharing and providing feedback on my posts! My goal is to share my stories to inspire or help you rock it as a parent or Lady Boss Mama.